Make sure your camera system is water tight before you take it in the water. These enhanced viewfinder can be easily be installed and removed, with no special tools, in less than a minute. Aquatica's design engineers were happy to find out that the 5DMk IV was very similar to the cameras that came before it, the 5DMkIII and the 5DS/R, therefore they only had to make small changes to this new housing and also made a few controls more ergonomic. Aquatica has moved the rear SET button almost 5/8 of an inch to the right and up over 3/8 of an inch, this makes it much more ergonomic for a right thumb actuation. We've incorporated the new AF area button added by Canon, this button allows the user to select any combination of the 61 autofocus points available on the 5DMk IV. The main control layout has stayed the same since the 5DMk II, this has been a proven design with thousands of existing housings in the field. The original internal TTL circuitry from Ikelite will be offered as an option. This 5DMk IV housing edition brings creativity to a new level, strobe exposure control is right there, where it is supposed to be, you can now tweak your lighting exposure or even go fully manual right at your fingertips. Controlling the amount of light entering your camera is paramount to the success of any image maker, and the A5DMk IV housing controls for aperture, shutter, ISO and strobes exposures are all hands on the grips approach. Every one of these is positioned to be intuitive, eliminating confusion and making the housing a natural extension of the photographer. The Canon 5DMk IV camera brings stunning and previously unheard of levels of resolution to the realms of DSLR's cameras, Aquatica takes pride to provide you with the right tools for capturing your vision of the underwater world. 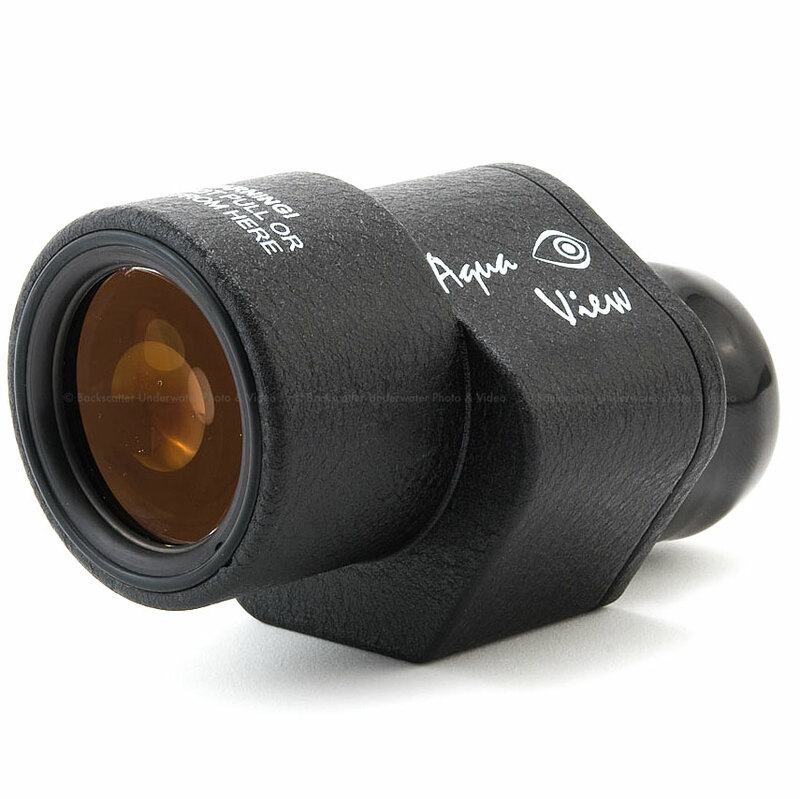 All Aquatica housings are constructed from the finest material available in the industry. They are carefully crafted from a selected alloy of aircraft grade aluminum and a premium grade of stainless steel, the housing shell is machined using the latest 5 axis computer assisted machines. 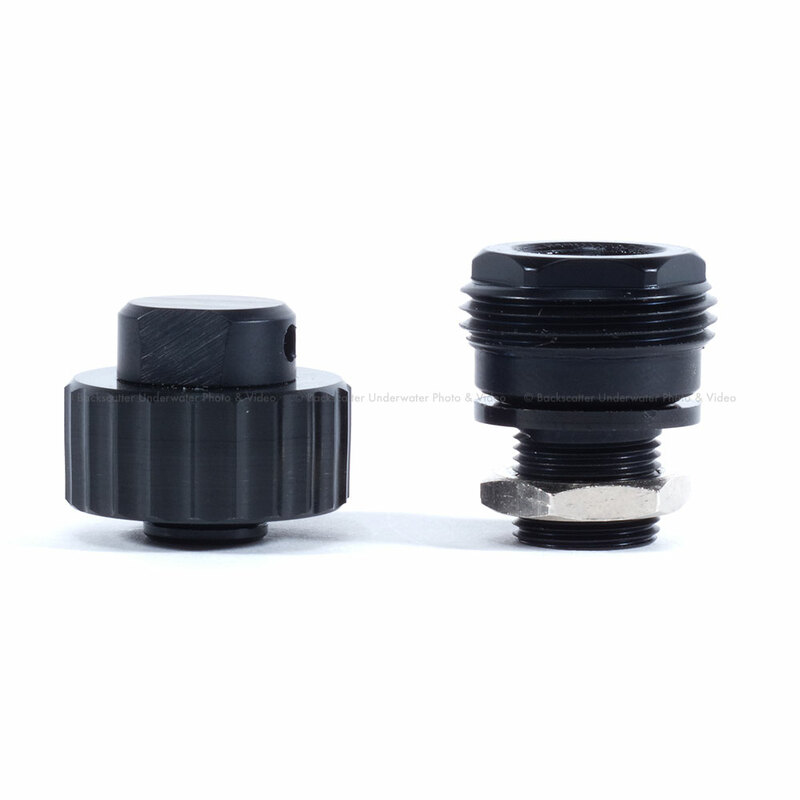 After undergoing a series of quality control operations, the main body and its controls knobs will get protection by anodizing them to North American military specifications, furthermore, a coating of "tough as nail" powder coating is baked on at a high temperature. Corrosion inhibiting zinc anodes are standard equipment on all of Aquatica's housings. These extra levels of protection are apparent, even with over 1,500 dives on them, still look as fresh as the day they came out of the box. The A5D Mk IV housing was designed to be as small and lightweight as it could be, nevertheless, its lightness in weight should not be taken for a weakness. This housing still has the same standard 90m/300ft depth rating and can still be upgraded to 130m/425ft. Aquatica housings are made for the hard-working photographer, one who truly understands reliability in the field. Built in Canada means that every Aquatica housing is born and bred in one of the world most rugged diving environment. Bottom line, if it works in Aquatica's local conditions, it will work everywhere else! 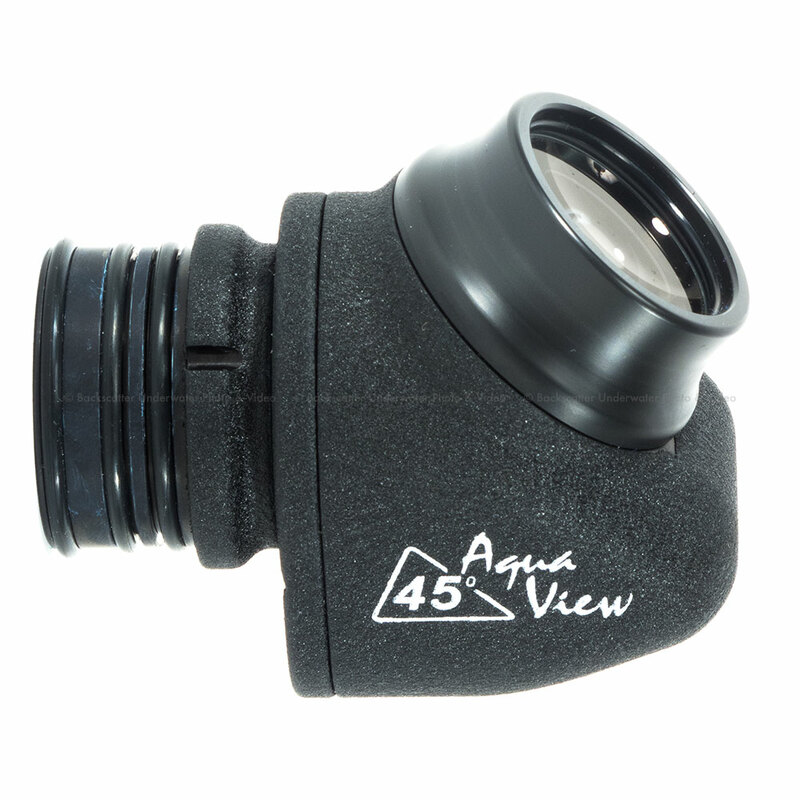 The Aquatica A5DMk IV housing comes standard with a Surveyor monitoring sensor. 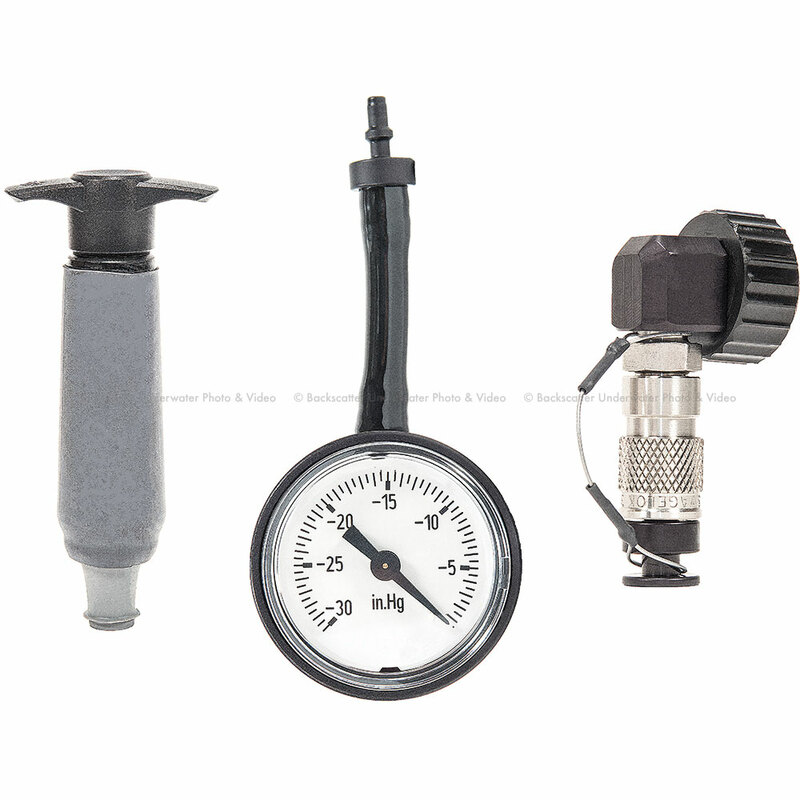 This sensor acts as a moisture alarm and can with the addition of a vacuum extracting valve an pump, be used for constantly monitoring the sealing integrity of the housing, adding another level of safety and peace of mind. Given the immense impact its predecessors had on the underwater imaging, it was deemed absolutely important that this new housing is optimized so that all its controls would be easy to reach and operate smoothly. AF-ON & start button access is provided with a rotating collar that prevents ambient pressure from pushing it back towards the housing. Menus buttons are angled to provide an easier reach for your left hand. The 4xxxx gear system with a smaller housing pinion gear and larger lens gear results in smoother action while zooming in a video sequence. Knurled knobs and oversized controls translate into positive and easy operation no matter what the situation is. A control extender arm for the ISO button is now a standard feature on the Aquatica A5DMk IV Pro Housing. ISO is important, and in Aquatica's opinion a vital feature, especially when shooting video, in normal circumstances this can be done by pushing on the ISO button located on the right-hand top of the housing. This lever gives a quick and comfortable access to the ISO control of the camera. Battery and card replacement are a simple affair with a camera tray that precisely positions the camera in the housing and easily disengaged by a simple push on a tab. The zoom actuating pinion gear and the lens release lever pull out to allow the user to remove the camera from the back while still keeping a lens and zoom gear attached. Handling the housing is via Aquatica's acclaimed molded grips, these have been the industry reference in comfort for the last 25 years. These lightweight yet sturdy grip handles are made of one piece and cannot come unglued, fall apart or corrode. Grips are provided with standard sized mounting holes ready to accept the most current strobes and their supporting arms. On top of the housing is an extra mounting point for attaching a focus/video light or other accessories, three additional standard sized mounting points are provided under for various brackets, support or tripods. On the left is a view of the business end of the Aquatica A5DMk IV, clearly showing the serious nature of this housing. The record button is located close to your thumb and not only is it oversized but with a bright red coating, it is visually easy to pinpoint. The Live View toggle is within easy reach and the SET button is also oversized. The multi-controller pad is accessible. All push buttons are of high-quality Type 304 stainless steel, the same used in the aerospace industry; these will not break or rust. Their smooth operation and position gives the photographer a very intuitive and normal feel to the housing. The new Canon 5D MkIV with its 30 megapixels, will be brutally demanding on optics, both the ones mounted on the camera and the ones attached to the housing. The Aquatica housings are supported by one of the most established and comprehensive ports and accessories systems of the industry. 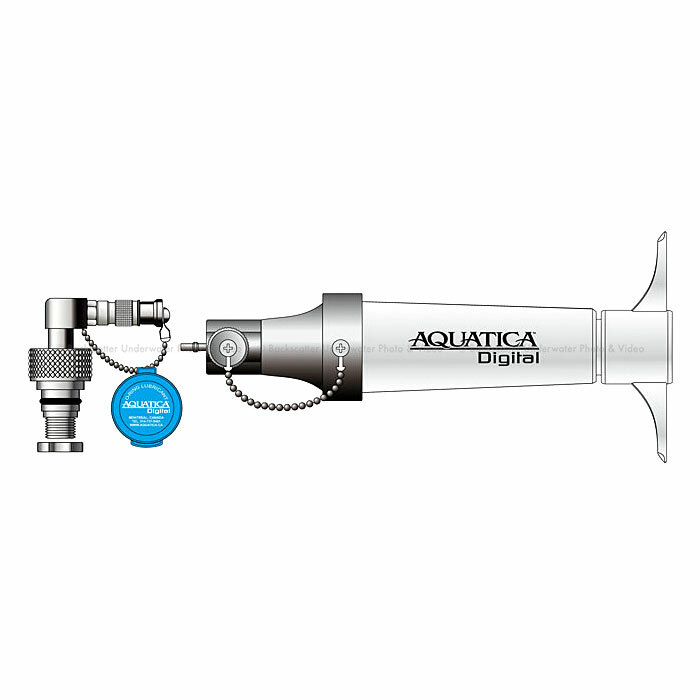 Aquatica's ports are manufactured with the finest optical material available, with four different sizes dome ports and three flat macro port, that selection is intended to let you optimize your system according to the situation at hand. Dome ports are as follows: starting by Aquatica's state-of-the-art 9.25-inch/230mm Megadome made of BK-7 coated mineral glass, to Aquatica's classic workhorses, the 8-inch and 6-inch dome ports with removable shade, and going down all the way to the diminutive 4-inch/100mm Minidome, also made of coated BK7 glass. A selection of port extension rings, some including Aquatica's unique manual focus capability, these extensions are available for both the Canon EF 16-35mm f/2.8L USM Type II and the EF 17-40mm f/4L USM, Two serious candidates for the video shooter and for which manual focus access is vital, prime lens focusing can be done using the control knob on the upper left side of the housing. Well established and proven system of ports, extensions, and accessories to meet your personal lens preferences. Made with a time-proven manufacturing process, using the best material available and state of the art tooling. This offers you many years of dependable and enjoyable service.